Strong Wall Barriers are Chapter 8 compliant and have excellent wind resistance. 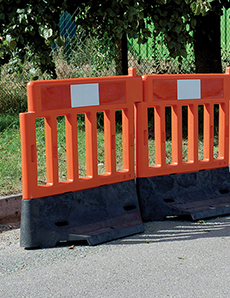 They are designed to be stable and rigid enough to prevent a single pedestrian from a fall and can be used as either a pedestrian or vehicle barrier at road works or events. Quick and easy to install but difficult for unauthorised personnel to dismantle.